We can arrange Fishing Guides. The Stuart Island area is renowned for salt water fishing, particularly for large salmon, including the legendary Tyee–Chinook weighing over 30 pounds. Stuart Island is in the heart of prime salmon fishing territory and is very popular with anglers. 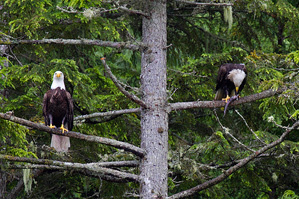 From soaring eagles to pods of orcas cruising around the Discovery Islands, enjoy a thrilling wildlife experience. 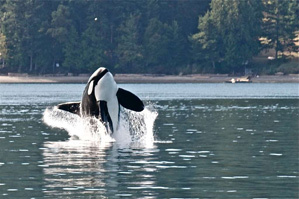 Home to a diverse selection of wildlife, it is possible to see: dolphins, orcas (killer whales), humpback whales, sea lions, eagles, osprey, great blue herons and many more animals. 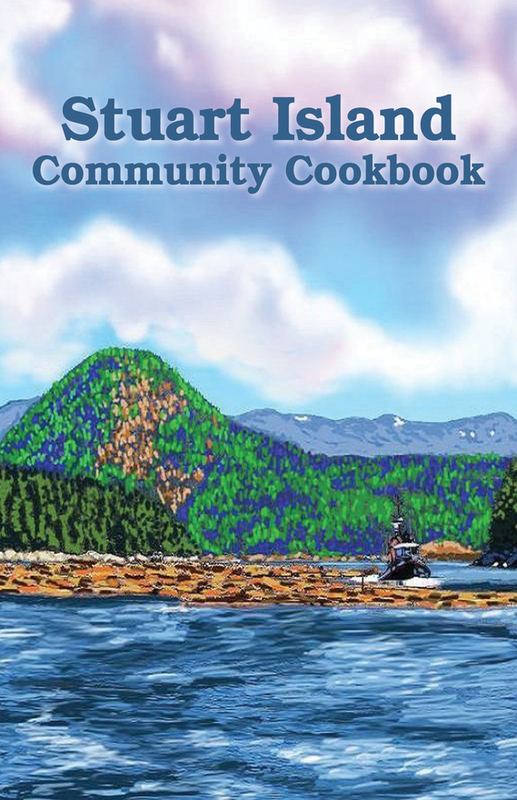 The Stuart Island Community Cookbook is available at the store. The original art on the cover and the whimsical illustrations throughout the book were done by artist and fishing guide, Steve Woodley. Recipes included in the book are from a diverse group of cooks whose instructions range from “blob from the spoon” to “flambe”. 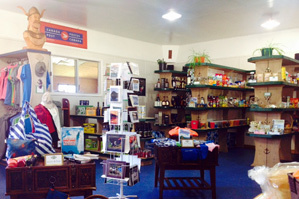 Although all recipe contributors have a connection to Stuart Island, the recipes are certainly not limited to preparing local seafood. They run the gamut from Angel Flake Biscuits to Zucchini Marmalade. 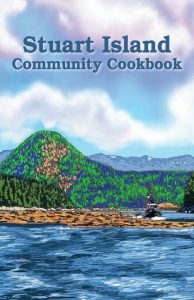 The idea for this cookbook came from Rose Stephenson who was inspired by her copy of a cookbook compiled by the Stuart Island Ladies Auxiliary in 1982/83. She proposed an updated version of the cookbook – but with a tie to the island’s past. Vintage recipes from the earlier book are intermingled with recipes from today’s cooks to give a cross- section of recipes through several generations.